Do You Need Pitched Roof Repair? Pitched roofs are built to last, but only if they receive professional repairs when necessary.When they require pitched roof repair, Lake Oswego residents don’t want to wait. Pitched roof damage may be progressive. That means time is an important factor. Progressive damage multiplies with every hour. Pioneer Roofers puts a stop to it, and repairs your roof to a pre-damaged state. With more than 20 years providing local pitched roof repair, Lake Oswego trusts us when they need great service, fast. We provide the full service pitched roof repair Lake Oswego roofs require! When Lake Oswego pitched roof repair is required, homeowners benefit from experience. We’ve become a trusted local pitched roof repair company by providing top tier service time and again. That’s because we’ve got the traits you want in a roof repair company. Experience: With over 20 years repairing pitched roofs in the Northwest, we’ve encountered everything. We quickly get to work, properly assessing damage and take the correct steps to halt additional damage. This can help drastically reduce costs and restoration needs. We’ve worked extensively in both emergency and non-emergency situations. Repair needs can vary between home and commercial properties and we’ll work around your needs for the most convenient pitched roof repair Lake Oswego has to offer. Knowledge: Experience is the best way to learn tricks of the trade, but without a solid foundation you can’t rely on your roofers. 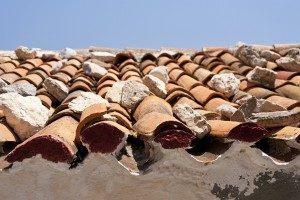 Our certified roofers are highly trained before we bring them on. Their knowledge of pitched roofs and their advanced repair methods make them your best option for a swiftly repaired roof. We make sure the strength of our repair work will withstand the test of time, and return your roof to a fully pre-damaged state. Equipment: We always come prepared. Reliable equipment can make all the difference and that’s why we exercise maintenance schedules to keep everything running smoothly. Replacement and repair materials are the highest quality. Whether it’s tiles, weather proofing, shingles or more, high quality pitched roof repair Lake Oswego can depend on requires high quality components. 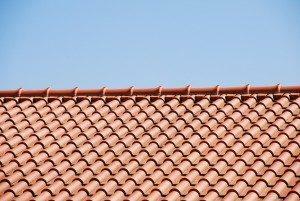 We’ll ensure your roof continues to provide you with full protection for years to come. Contact Us for Pitched Roof Repair Today! We’ll get to work fast when you need us. That means services that include emergency pitched roof repair. For a dedicated, experienced, and trusted local pitched roof repair company, call (503) 281-0305 or Contact Us today.